June 20, 2018 | By Full Sail Brewing Co. 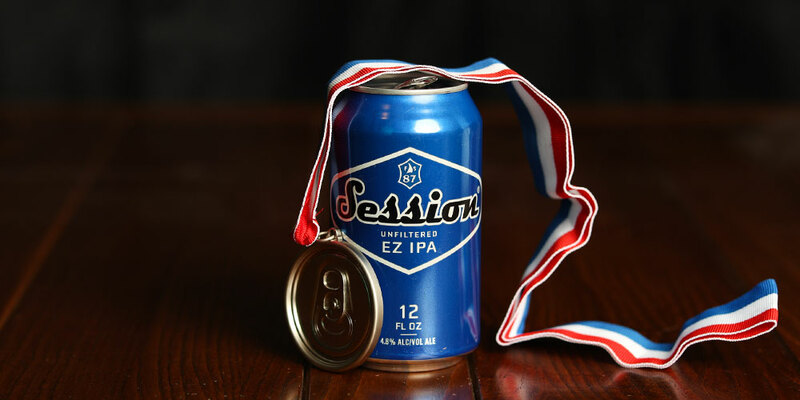 The judges’ decision must have been EZ…Session EZ IPA won silver at the 2018 Can Can Awards, the premier beer competition focused solely on canned craft beer! In the Can Can Awards’ second year, over 400 beers were entered from across the globe, including entries from both big breweries and small breweries alike. The Can Can Awards invites beer industry professionals to blindly sample canned beers submitted from breweries and brewpubs around the world. The Judges Panel sips submitted beers in order to award Gold, Silver, and Bronze medals to the three beers that best represent each individual category. Beers are assigned to Judges with specific and applicable experience with the particular category in question. Session EZ IPA is everything you always wanted in an IPA, only less. Wait. Less? You got that right. It’s an unfiltered IPA, with all the aromatic hops, fruit notes and citrus vibe that you and your taste buds desire – minus the mouth-puckering bitterness or the high-octane ABV. After all, it’s not called EZ for nothing. So what are you waiting for? Session EZ IPA is available in 12 oz. cans in 6-packs and 15-packs. It is also available in 11 oz. bottles in 12-packs and in the Session Mashup variety 12-pack and draft.